It’s the holiday season and everyone is in a perpetual state of stress, rush and overload. Information continuously streaming down from our phones up to the high electric billboards we pass on the freeway every day – a constant reminder that we can never seem to switch off. While rest and relaxation often feels like the last thing we get around to doing during the busy season, self-care is actually one of the most important. Self-care has been talked about extensively with the emergence of mental health awareness. And the idea of self-care meaning a trip to an expensive spa or salon, that couldn’t be further from the truth. There are a number of ways we can pamper ourselves which don’t involve breaking the bank, some of which can be enjoyed right in your own home. The most obvious one is taking a long bath at the end of a busy day. Research shows that bathing in warm water can be as therapeutic as working out. It raises the body temperature, heart rate goes up while blood pressure and flow both stabilize the body. Baths can also help with acne, hair loss and other skin issues such as hives, inflammation and acne. If the idea of taking a warm bath doesn’t fit into your schedule or you want to make it the most relaxing experience, here are some tips we suggest to get started on your journey to self-care. We all know time is limited and planning well will allow you to make the most out of it. Schedule your much needed “me” time in moments when you’re sure there will be no distractions. This might mean waiting until the kids are in bed at night. Perhaps it could be during the weekend after you’ve done all the chores. Whatever time or day you choose, make sure you have it all for yourself so there are no distractions. Light some candles and play some relaxing music. Create a Spotify playlist that will allow your mind to unwind. Ensuring a clean and clutter-free bathroom will add to your ability to fully relax. You want to make a fortress to keep your mind away from all that’s giving you stress. Clutter can only take you back there. This way you can actually feel like you are in a spa, but without the high price tag. Select essential oils that provide aromatic fragrances without causing any irritation. Lavender oils have been known for their sleep-inducing qualities while rose oil has relaxing sweet scent. Vanilla and geranium are also popular choices as they’re both provide comforting fragrances. Make sure that your water has a perfect balance of temperature- not too hot yet not too cold. If you have back pain or shoulder pain that is bothering you, warm baths can alleviate your chronic pain by using CBD bath bombs. CBD bath bombs has cannabidiol which is a molecule derived from cannabis. But unlike THC, CBD does not have psychoactive components –it won’t get you high. Instead, you will reap the benefits of bath bombs. According to some research, CBD bath bombs can improve anxiety, seizures, lingering pain and other disorders. 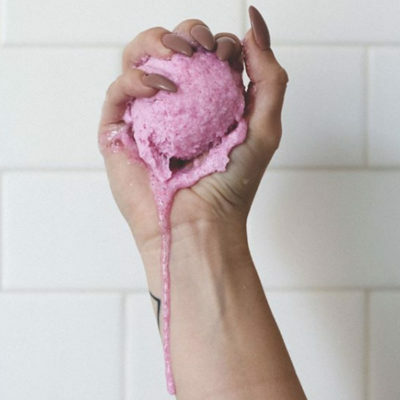 Our brains send out numerous impulses throughout our body, CBD bath bombs have components that tells your brain to produce more serotonin otherwise known as the “happy chemical”. What better time to be happier than during your relaxing warm bath! If you are feeling in the mood for it, pour yourself a glass of red wine and keep it by the bath tub where you can sip at your leisure. We’ve all seen the image in movies or in advertising of the woman surrounding by a bubble bath, sipping on her Merlot. You too can indulge in a glass to help you relax even further. Adding a face mask while you relax can help rejuvenate your skin. When you are finished with your bath, be sure to use towels or robes that are gentle on your body so as not to scratch or irritate your skin. If you are allowing your bath to be your “me” time, this is also a great opportunity to meditate and focus on deep breathing. During times of stress it is easy to forget to take a breath, but each purposeful sip of air we take into our lungs can be medicinal for our bodies. A practice of meditating and breathing during your bath can add to your ability to fully unwind. We all feel guilty when we prioritize ourselves over others. However, studies have proven when we take better care of ourselves, the more we can care for others. After your warm bath, it’s important not to get back in that rush mode. Making a regular habit of taking a long, warm bath can do wonders for your stress levels, sleep, and focus at work during the day. Every day we are confronted so many competing choice about our personal priorities. As we get busier, it also becomes easier to neglect ourselves, but in the long run it can catch up with us in ways that affect our health or well being. There’s nothing wrong in pausing and enjoying a little bit of time away from all the stress of daily living. In fact, it is recommended. Start with something as simple as a warm, relaxing bath in your own home and you will see the difference.